We had a fine, warm and settled day for our cruise to Edam from Volendam. 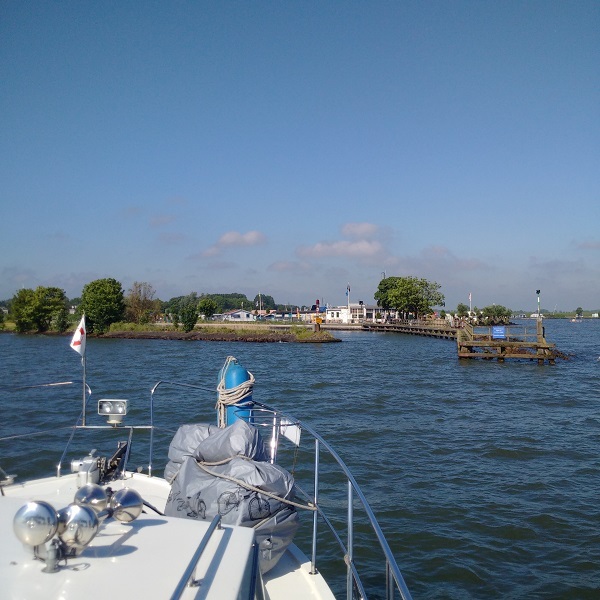 The wind had dropped and the Gouwzee was calm and not a challenge as I kept to the buoyed channels leaving Volendam and then did the same approaching Edam. The zeesluis (lock) into the canal was immediately available for us with just a 30cm drop, but the lifting bridge was on ‘off-season’ schedules, just five per day, and we narrowly missed the 10.30am one and had to wait two hours to the next one at 12.30pm. 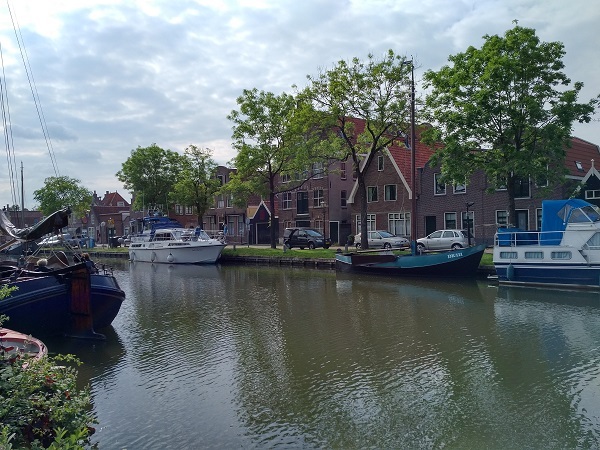 A nice cruise followed along to the centre of Edam and then a very good mooning within reach of the single power supply and water with some shady trees for Max to shelter under on his tether. 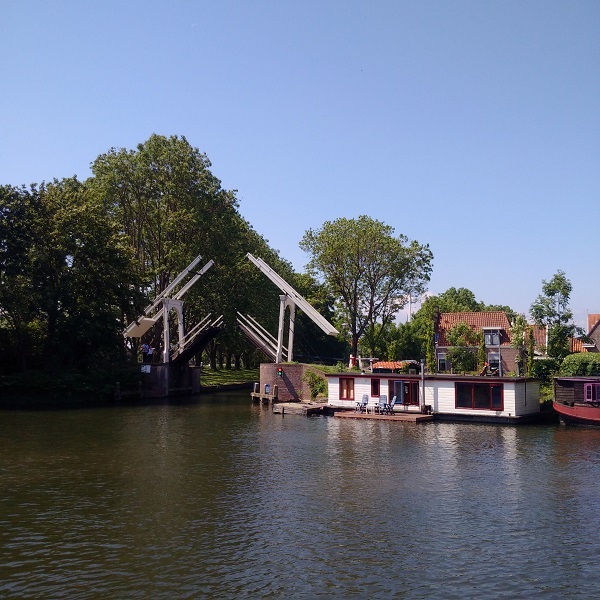 Upon arrival at Edam, we had that two hour wait for the Ooster-of Kettingbrug bridge which was most unlucky. We were only a very few minutes late and the next day (which would be June) it would open every half hour! Nevertheless, after our long session cleaning and polishing Lady Martina last night, today we used this two hour delay to clear out the bridge by tying Max up ashore and taking his box out and cleaning all around. It was very hot when we got to Edam and Kathleen was quite overwhelmed by the heat as I assembled the porch canopy irons and then rigged the cover to keep us in the shade. Some nice walks and drinks followed. We were fortunate to meet another friendly local man, Jack, who came over and chatted and later invited us over for drinks with his wife Katrina in the delightful garden of house next to the moorings.